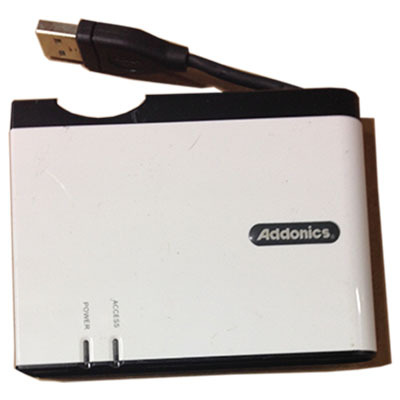 The Mini DigiDrive II is Addonics' latest Flash Reader/Writer with new style and more features than the original award winning Mini DigiDrive. This new Reader/Writer comes with 5 slots to supports 12 different type of flash memory formats. It is the best solution in transferring data to your PC from digital camera, digital camcorder, PDA, MP3 players, digital voice recorder and more. The small palm size package and the simple USB 2.0/1.1 connection make this new Mini DigiDrive the best flash reader for all occasions!